Isn't this altered wall hanging just stunning! Morning everyone! Well what can I say about this next lady - Kath is just the nicest, funniest lady you could meet and yes we have in fact met and had a great time discussing all things crafty. 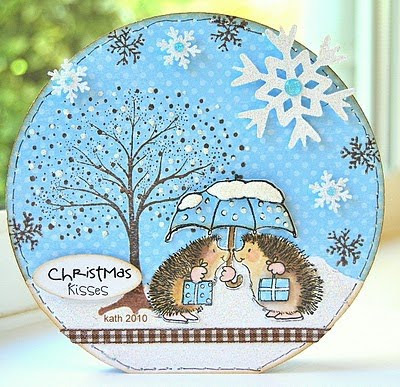 Many of you will know Kath already as her craftng skills stretch far and wide. She is a master of the Hero Arts and uses those stamps in the most amazing ways and always leaves me thinking "I'd never have thought of that!!" If you haven't already visited her blog, well! you are in for a treat, her posts are so funny and witty. Now Kath also has a furry helper "The Budster" and he often hijacks her blog and has little giveaways unbeknown to his mum!! 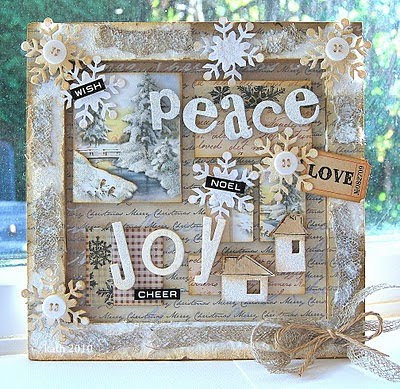 Kath is currently counting down the days until she meets the Lord of The Crafters - the one and only Tim Holtz. 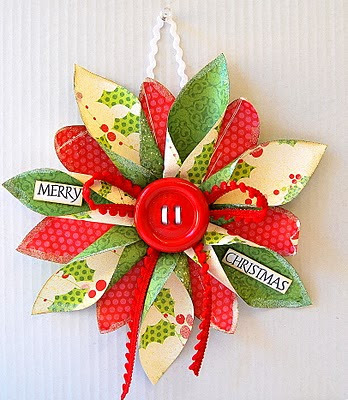 She really is a busy lady and will be heading to the SECC in a few days time to demo for Fiskars. So pull up a chair and prepare to be inspired and entertained. You can visit Kath HERE. Love Kath's work - she does amazing stuff - these are all beauties. 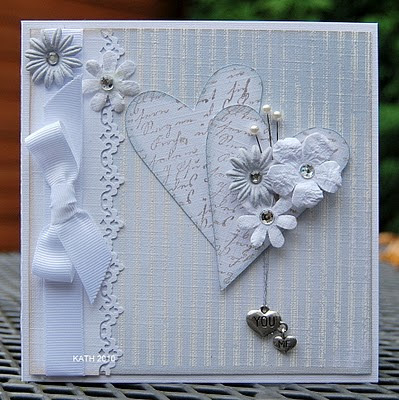 Kath's creations are gorgeous - her blog is the first one of a selected few I visit each day and I am never disappointed. These are amazing, can't wait to see all Kath's other creations. Lovely inspirational creations. Congratulations Cath! The NY card with ribbons is SO beautiful! Like it! Those are so gorgeous! 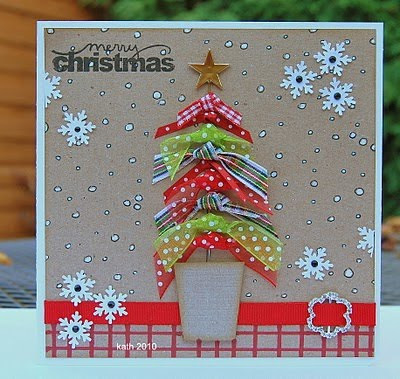 Thanks so much for sharing with us crafters! Have a blessed week! 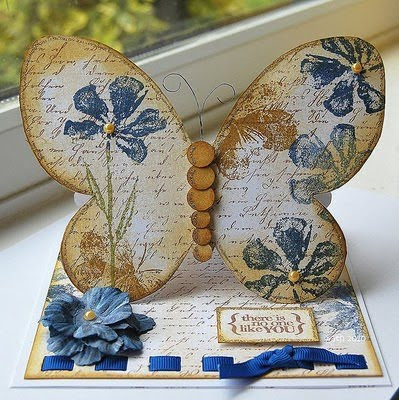 These cards are so beautiful, I love the card with butterfly (second photo), its creative and I think it's economical. Thanks for sharing these to us.